Whether you are an avid DIY hobbyist or a serious professional, the jigsaw is a must have item when precision, speed and finesse are required in your cutting. 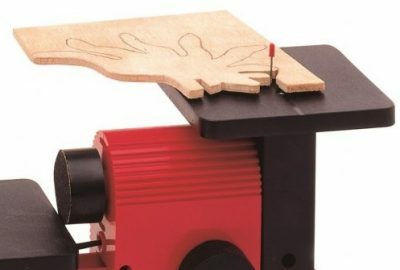 A jigsaw can be used to make accurate straight cuts, as well as cuts that a bandsaw could never do -curves, pocket cuts, circular cutouts, furniture trimming, etc. – and depending on the blade it’s a tool that can be used on a range of materials from wood to ceramic. A relatively new device (invented in the 40’s when its creator imitated the functions of the sewing machine), the jigsaw has become increasingly popular for its versatility. For this reason, there is no shortage of options out there when you wish to make a purchase. The range of quality on the market shouldn’t be underestimated. Some tools are fit for a master artisan, while others aren’t fit to cut butter. We’ve spent a considerable amount of time tracking down and evaluating the plethora of offerings out there. 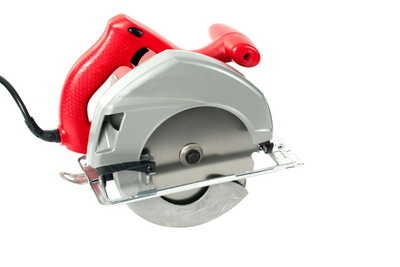 This list should save you the time (and money) of looking at inferior saws. We have narrowed the list down to the ten best jigsaws (value based) currently available to the average consumer. Many of these saws may outclass one another depending on the job at hand, so take a look at their functions and suggested usage before buying. Another quick note, with the goal of offering a diverse range of reviews we have purposely omitted tools from the same family of releases. For example, since the Bosch JS470E is included, the Bosch JS470EB was excluded – their features overlap so heavily both reviews would come out to more or less the same. So if a tool on the list interests you – go ahead and spend a little time exploring the other parallel options in the same family. 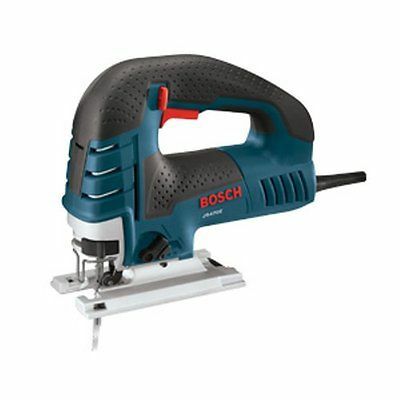 The Bosch JS470E 120-Volt 7.0-Amp Top-Handle Jigsaw is arguably the top functioning jigsaw out there for you to buy right now. The Bosch company pioneered the first jigsaws ever to make it to market in a big way, and their mastery of the tool has not abated. Sturdy, comfortable, and capable of making precision cuts - it’ everything you need in an affordable package. The Bosch JS470E is arguably the best pound-for-pound Jigsaw out there. Extremely powerful at 7 Amp - it can package all of that into a surprisingly controllable cut with no wander. Full of adjustments and speed controls, as well as an inherently great cut, this tool makes tough jobs seem easy. When cutting through tough materials quickly and accurately, you will begin to understand why this tool is ranked number one. The easy blade release and the constant response circuitry are fantastic features you will see many talk about, but really they are just icing on the cake. Every design aspect of this device is amazing. Comfortable to use and streamlined to produce very little vibration -it will have you cutting like a pro in no time. The bang for your buck easily put this tool at the top of the list. It comes with a number of useful features and operates with the quality of jigsaws that cost twice as much. Pro’s, amateurs, everybody. It's simple enough for a newbie but precise enough for those whose livelihood relies on its abilities. We’d even argue that first timers could invest the extra cash for the Bosch, rather than the introductory jigsaws, so that they can learn on something with such smooth operation. This Top Handle Jig Saw almost cuts the weight of the Bosch we just reviewed in half and is able to compete in precision and lack of vibration. Makita has also managed to pack this lightweight tool with a bunch of useful features like an L.E.D.Light, slow start control, and easy blade release lever. This tool is more than capable of handling the majority of tasks given to it. Given its stability it’s surprising that it only weighs in at only about 6 pounds. 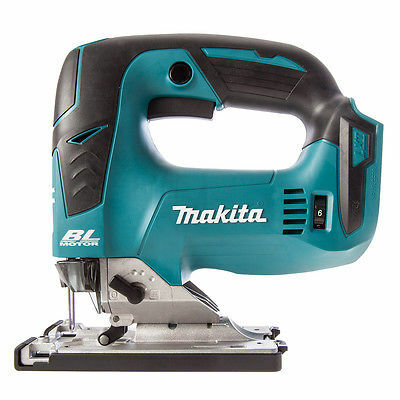 The Makita is also a relatively quiet jigsaw, a favorite feature of many homeowners. It is relatively lightweight and claims to have 40% less vibration than competitive models. A nice rubber grip and an easy to use speed control make this tool feel right at home in the hand. It's a little unusual, especially when you are used to old jigsaws, to see the amount of power the Makita can produce in such a light frame and how much of that power is contained in the blade - rather than causing a shake to the whole device. While not the cheapest jigsaw around, it is also definitely not the most expensive. 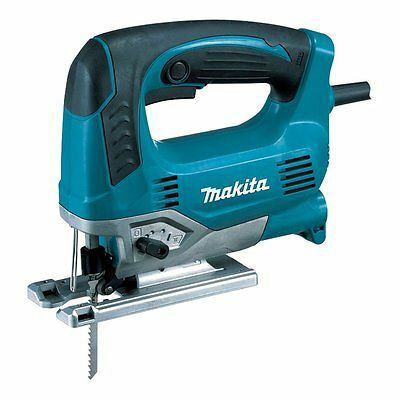 The Makita’s abundant features, and exceptional quality ensures you are making a good purchase. You won’t come away feeling like you paid too much - that is for sure. Those interested in a single handed saw with great precision and power. 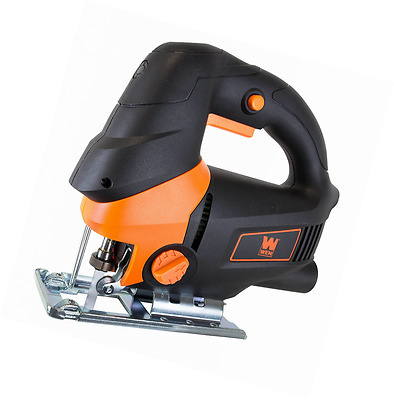 Utilizing a 20V Lithium Ion battery, this jigsaw is able to compete with your standard corded drill when it comes to blade power. The lack of a cord and a powerful cut on a 6-pound package make it ideal for awkward projects or jobs that require a constant changing of location. 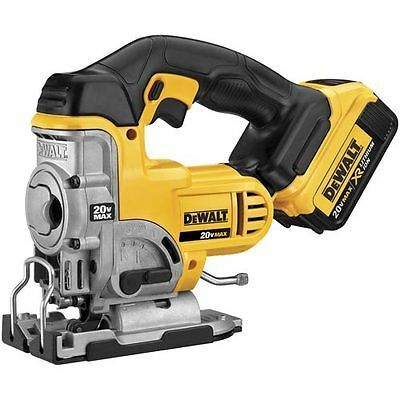 The lithium battery this Dewalt uses is no joke. It retains a charge longer than any other battery you’ve used before, and it is able to remain light and manageable. The battery is also powerful enough to make sure your blade can get through those tough cuts typically reserved for corded devices. 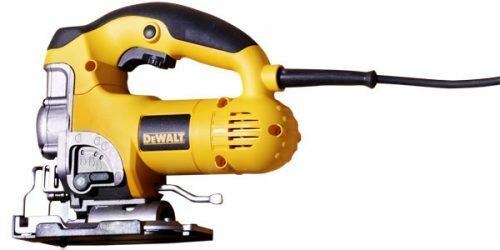 The lithium battery makes this jigsaw a little pricier for its relevant output, but you are literally paying for the convenience of being able to work cordless and still have a functional device capable of the tougher tasks. Being cordless yet powerful and weighing only about 6 pounds, this is the saw for those who require both mobility and cutting strength. This is on the lower end of jigsaws but is very capable for what you pay. For the price of around 3 cups of coffee, you will get a jigsaw with quite a bit of power behind it as well as solid craftsmanship and performance. It is heavy enough to maintain decent stability in the cuts and can get through quite a bit of material. Investing a little more in a better blade than the one recommended can also increase the value output. Another nice feature is the wire protective cage that helps with increased accuracy and safety. All in all, this is a great saw for the hobbyist or first time user. 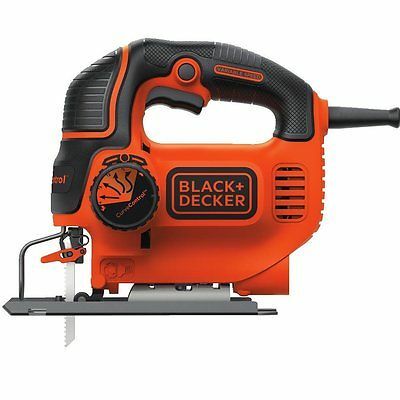 This is why the BLACK+DECKER BDEJS600C makes the list. It is only about a tenth of the price of other jigsaws, and with a 5amp motor, its overall power is often comparable. This tool is worth the purchase just for an emergency backup if anything. This is more suited to the DIY crowd rather than professionals. It can't compete with others on this list in terms of overall quality, but it does compete in what you get for every dollar spent. This is a good tool to have in your repertoire. An incredibly powerful jigsaw that is capable of a whole slew of both delicate and powerful tasks. It comes with exceptional speed and line control ensuring accurate quality cuts every time. It has a plastic base plate that should limit unintentional marks on the piece you are working with, and it has a nice comfortable grip. It seems every inch of this jigsaw has a purpose and adds to the end goal of making the best cuts possible. Festool is trying to recreate the Apple "i" product lineup for the world of power tools it seems. The “Festool system” is a whole series of interconnected devices and tools that are made to work together to increase their overall group effectiveness exponentially. If you have money to burn, this Festool jigsaw can be paired up with a large lineup of additional equipment and accessories. One nice part of using this system is that most tools share the same power cord design, meaning you can switch out devices in a matter of seconds. The only reason this didn’t take the number two or three spot on the list is that it is a bit pricey. 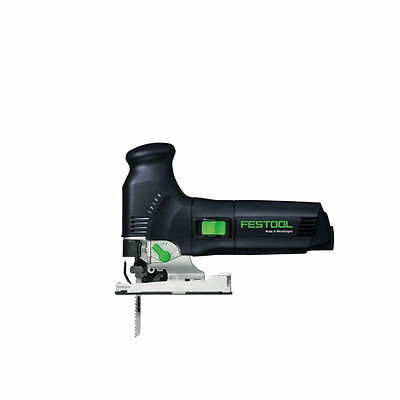 We said it earlier, you can think of Festool as the Apple of power tools. Very high-quality products with a high amount of integration, but you pay for it - plus you may not actually need all of those features. All in all, though, this is an exceptional tool. If this is within your price range, it's a tool worth having. It may be a little much for those who aren’t experienced in jigsaws, but its ability to get the job done should not be doubted. Another 20-volt Lithium battery jigsaw for a great price. Excellent power, lightweight, and no cord. The battery life is great, and the tool itself performs very well for a variety of tasks. It has an adjustable blade speed, (fast/rough - slow/clean) which make it well suited to a bunch of jobs. Lithium battery systems tend to be a little more on the expensive side unless you are willing to sacrifice quality or some key features. 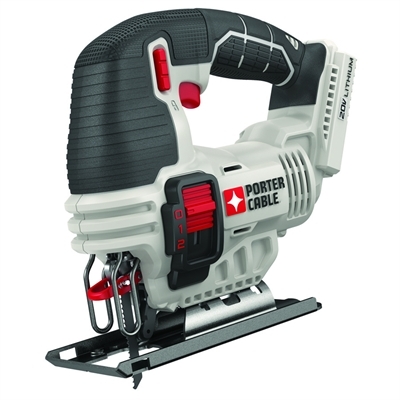 This Porter finds what I believe is just the right balance between a fair price point and a powerful and efficient cordless platform. This is a much more affordable lithium battery system than the Dewalt. It is not capable of the same level of precision, but if you want a good combination of mobility and affordability, this is for you. We’re tempted to say this is more for the DIY crowd looking to get a highly mobile platform for a fair price, but, it stands to reason that the lower price tag and the mobile platform may give it some use as an emergency backup or situational tool for many contractors. Some of the best stories about this saw are from those who originally bought it as a “throw away” due to its low price, and then found themselves preferring it for the majority of their jigsaw needs. It has enough custom functions to give it an edge over many other saws that may make more stable or robust cuts, but can’t be adjusted in the same ways. This saw has a variable speed adjustment, locking trigger, and an orbital dial. This allows you to fine tune the parameters of your cut to the exact needs of your project - it is rare to see all these features on such a low priced saw. This is another great saw at a low price. 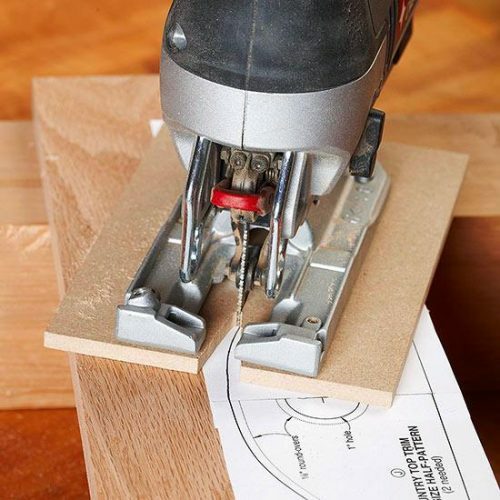 Versatile and easy to use, one of the best tools for those who occasionally need a jigsaw for smaller projects. Great buy for the DIY crowd. It has enough selection options to make it useful for a myriad of projects and is heavy duty enough to accomplish most household tasks. Although this saw lands on the higher end of the prices for this list, it makes up for it with a slew of features and fantastic execution of most tasks. Cordless thanks to its lithium battery set up, this is the tool when you want power, accuracy, and mobility. The rubber handle and lighter weight also ensure this tool is an all round pleasure to use. Easily up there with any other pro level cordless jigsaw. The brushless motor and orbital settings can deliver quicker and more accurate cuts in a variety of material. This saw offers performance past that of many corded tools. The variable speed trigger and precision machined base help ensure you have maximum control of the accuracy of the cuts. It really gives you complete control of its operation. 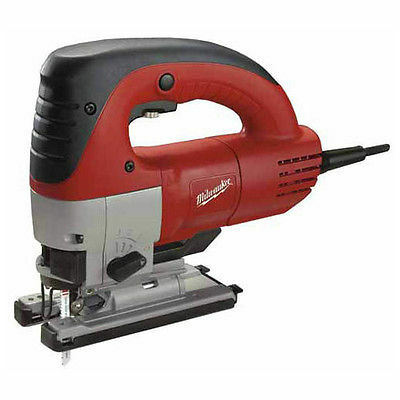 Wood (w/ 12" blade): 10"
The high price is offset by the fact that this is a very high-end cordless drill. When you need to do a job away from a corded tether, you can’t ask for a much better tool. Contractors who need an excellent cordless saw should definitely consider this one. If you already use some similar items and have more batteries on hand, this becomes an even better investment. Made to be both affordable and easy to use, this SKIL laser guided jigsaw is a great little piece of gear. The added AMP’s make this a preferable tool over many others of the same size and price point and the additional features, like the laser and speed control, go a long way in helping increase the accuracy of your cuts even with the extra kick. This tool was designed around maximizing both power and precision without breaking the bank. 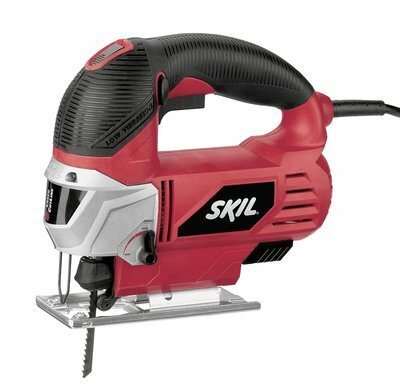 SKIL has come up with a nice balance of those factors, and although the laser is a little gimmicky, it does help in making those straight cuts. Sure It has a nice design that helps reduce ragged cuts and excellent orbital settings, but the highlight of this tool is its power and price point. Very affordable and a great all-around addition to your tool shed. The DIY crowd that needs a saw with some “umph”, requires a good level of accuracy, and doesn’t want to pay an arm and a leg for it. Powerful and well made, very capable of getting the job done. The 6.2 AMP motor makes this tool a beast, but the large number of features added to help you maintain correct speed and control means that it is still quite manageable and precise when it needs to be. Some contractors talk about using the older makes of this saw for around 12 years! It is a durable, well-built piece of machinery. Most complaints from professionals who use this tool really come down to stylistic choices and design preferences rather than any real complaint about the operation of the device itself. This is a higher end tool, but it won't break the bank. If you got jobs coming up that require some real power - or you want to invest in a tool that you will be able to rely on for years to come, this is the one for you. Both pros and amateurs alike will be able to appreciate this quality saw. Its durability makes it a sound investment for anyone who needs a jigsaw on a regular basis. Its ability to handle a plethora of intricate and difficult cuts with accuracy makes it a great piece for your repertoire. How we decided which jigsaw’s were the best? A number of values were factored in when deciding how to rate and rank a jigsaw. There were obvious factors like price, the motor, additional features and weight, but there were also some more subjective opinions like usability, comfort and overall ergonomics of the design. Since some of the decisions may not be entirely clear, we want to spell out exactly what went into each of the major deciding factors. We also want to point out, yet again, that the ranking of these tools is very subjective – each can usually outclass a few of the others depending on the task that needs to be accomplished. The best way to explain the system was a rough form of eyeballing the tool based on these following parameters. The price was evaluated on a quality/price ratio. The lowest priced saw actually ranked higher than the most expensive for this exact reason. Both could accomplish around 50% of the same tasks, while their price difference was over 1,250%. Power was evaluated not only on the output or Amps of the saw but also how well it controlled it. A saw with 5 AMP, but with heavy vibration and a lack of accuracy was scored lower than a 4 AMP device that maintained the integrity of its cuts. That’s not to say a saw didn’t get a boost from having a wider range of workable targets – merely that the ability to control the power was relevant to the rating of the power itself. Closely tied to power (what’s the point of an accurate cut if it can’t actually cut the right materials) precision takes into account drift, vibration and many other factors such as added clamps or guide features. Having a saw that’s easy to use is nice, but that is generally a subjective term – and most saws just take a little time to get accustomed to. More important was how easy the saw made it to do specific tasks. Orbital settings, speed settings and many other built-in customization options that allow you to make just the right cut played much more of an important role in this set of factoring. This is always the most talked about aspect of the saws since it is usually the easiest way to differentiate similar products quickly. However, most features are helpful but not necessary. Certain standout features did play an influential role – but those mostly had to do with their ability to increase the overall versatility of the saw. SPM stands for strokes per minute and describes the number of cuts your saw will make in a minute time span. Different materials will require different speeds for effective and smooth cuts. Metals will likely need a slower speed while a very dense wood will respond much better to higher rates. A high SPM puts the tool a risk of increased vibration and usually requires a heavier device or vibration dampening technology to control those speeds entirely. Q: What is an orbital setting? Orbital settings utilize an oscillating mechanism to move the saw in a circular motion as it goes in and out of the material. Different materials will respond much better to varying levels of orbital action. While it is not recommended for hard metals or very precise cuts, orbital settings allow for greater control over your saw and how it interacts with the materials you are working. Q: What is the relevance of the AMP/Voltage? AMP refers to the word amplifier and is relevant to the overall power of a corded saw. The higher the AMP of a saw, the more power it can put behind each stroke. These numbers typically range from 4-7. 5 Amps and are generally enough for all but the hardest materials you can expect to cut. Voltage is what you use when dealing with cordless saws. 18V is going to be adequate for most jobs on the cordless end. Q: Do I need a jigsaw or a circular saw? A jigsaw is a more versatile tool overall, but it can still be inferior to a circular saw in specific situations. Making long straight cuts in sheet materials isn’t recommended for a jig of course, but most other tasks seem to land in favor of the jigsaw. As a contractor, you will probably have both at the ready. If you are a DIY type, It’s safe to say the jigsaw will be a more useful tool for the majority of your projects. Q: What is a sabre saw? A handheld jigsaw was often called a saber saw, and every once in awhile they still are. Some claimed a now rare feature of a blade spinning top knob is what differentiated a sabre saw from a jigsaw, but that doesn’t seem to be the case upon further examination. For all intensive purposes, the words are synonymous with one another. Q: Should I go cordless or corded? Once upon a time, cordless tools were unable to accomplish the more difficult tasks. The power systems just weren’t strong enough. Those days seem to be behind us though. Cordless tools have steadily gotten better and can readily compete in realms that were once unheard of. While the most powerful tools will still need a cord – the jobs that require that level of power are not the most common ones. Battery packs have gotten more lightweight and compact – and will continue to do so for the foreseeable future. The battery packs also tend to increase overall cost as well. Another drawback is the proprietary technology used with the batteries. Brands try to force your loyalty by making only certain batteries work with their tools and once you invest a few hundred bucks into some batteries is hard not to buy the tools that they work with. Corded tools are still generally better devices for the price you pay, and will also have a longer shelf life. Personally, I would still go with the corded options but would keep a close eye on cordless developments over the next few years. Q: How should I approach different materials with my jigsaw? The first thing is to make sure you are using the right blade for your target material. Then look at your settings. When it comes to wood, it depends on the type of wood you are talking about. Denser woods will work better with a higher SPM while an orbital action can make the entire process go a bit easier. Plastic or fiberglass are best tackled at a slower speed. The more powerful jigsaws can overcome metals such as aluminum or steel or even embedded nails. More potent saws will boast the materials they are rated to overcome – though you can usually make a pretty basic evaluation based on the AMP or volts of the saw. Copper, ceramic and a whole slew of other materials will all require a bit of research before they are cut into for the first time. Q: Do I need a LED light or dust blower? Long answer: LED lights and dust blowers are both examples of features that every once in a while come in pretty handy. There are other gimmicky add-ons that you’ll probably never use – but there is a reason LED and dust blowing features pop up so much on tools these days. A lot of people like them. I wouldn’t make a purchase solely on their inclusion, but they can be a nice bonus. Q: What is a bevel cut? A bevel cut is a cut that is not perpendicular to the surface of the cut material. While usually the jigsaw is operated while square to its base, many saws allow you to adjust the angle of the blade to achieve bevel cuts. Some make this process easier than others. This can also be a useful feature when working inside cabinets or other tight spaces that require a more sharp cutting angle. We hope we’ve been able to put enough information in front of you to help you make a more informed decision on your jigsaw purchase. Having shopped for many tools ourselves online we know how helpful it can be to read others opinions about possible purchases even if we don’t fully agree with their evaluation – in fact disagreeing with them often helps make a decision just as fast. Whether you are looking to do some projects at home or have a successful career in the industry – we did our best to present you with a series of jigsaw solutions to many different needs. Good luck with your purchase and always build smart, build safe, and build big.